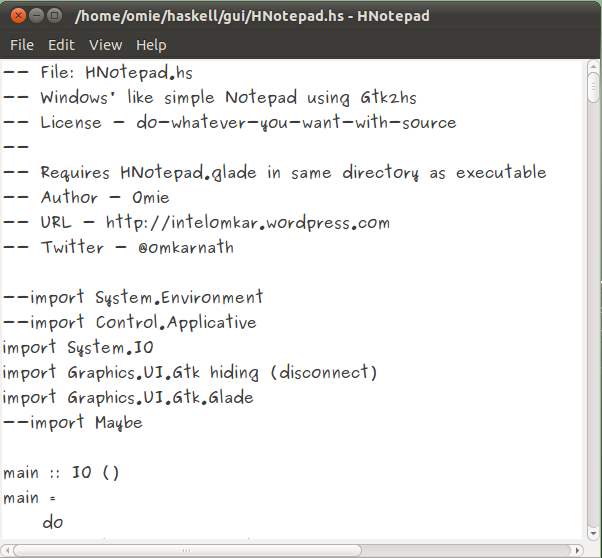 My first Haskell Adventure ! I’ve been trying to spend some time with Haskell for long but college.. assignments … etc..were keeping me away. Finally got time + kick + excitement last night and decided to code something meaningful. Its quite simple. Read from input.txt [which is actually a twitter feed] > remove duplicate id entries > sort in descending order of Timestamp and save to output.txt. Took pretty long time though. I was also reading relevant pages from RWH. had to read some things like Monads twice/thrice to understand. Then talking to folks in IRC #Haskell.. Still have to go through alot.